Energy consumption depends on the size of the refrigerator. 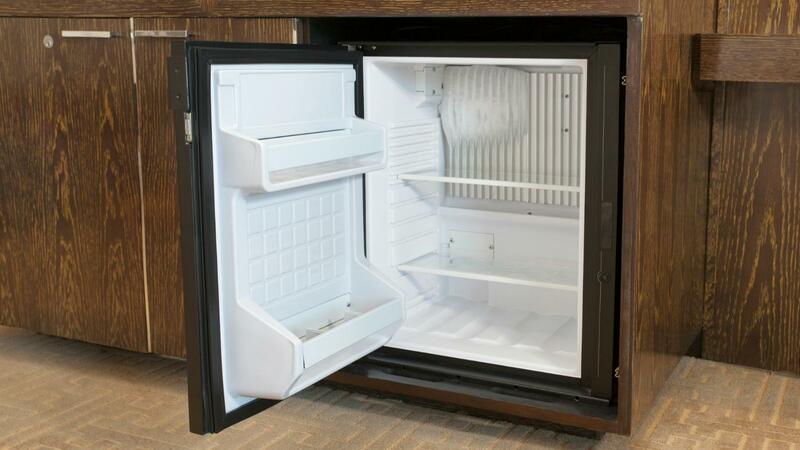 Models of 1.7 to 4.4 cubic feet with manual defrost consume no more than 239.42 kilowatt hours per year. Partial automatic defrost models consume no more than 318.4 kilowatt hours per year. Energy consumption in mini-refrigerators is determined by the brand, age of the unit, the ambient temperature, and whether it is automatic or manual defrost. Where the refrigerator is placed in the room matters as well. Keep the unit away from heat sources and crowded areas where it may have to work harder to stay cool. A 20.6 cubic foot refrigerator is estimated to cost $47 per year to run compared to a 4.4 cubic foot unit's operating cost of $27 annually. How Long Does It Take to Defrost a Refrigerator?